This gorgeous fine-leaved selection of weeping Japanese Maple makes a fantastic feature or specimen plant. Never taller than a small tree, it is slow growing, and makes a superb focal point, with this clear stemmed standard form, the weeping habit of this variety is shown off to it's very best. 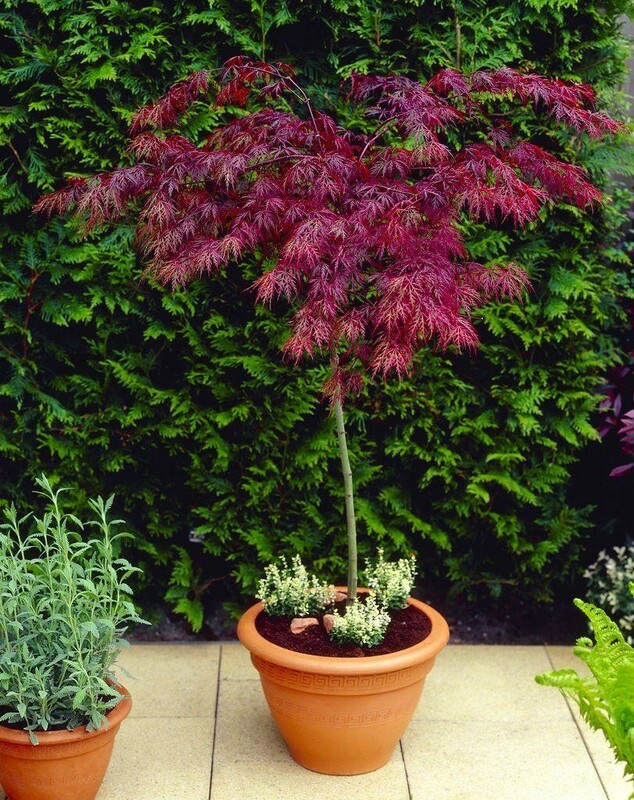 Covered in lovely garnet-red feathered lacy foliage from early Spring that will darken to burgundy over the Summer, and then finally a riot of bright orange and red in the Autumn before it falls, this tree provides great garden interest and value for much of the year.